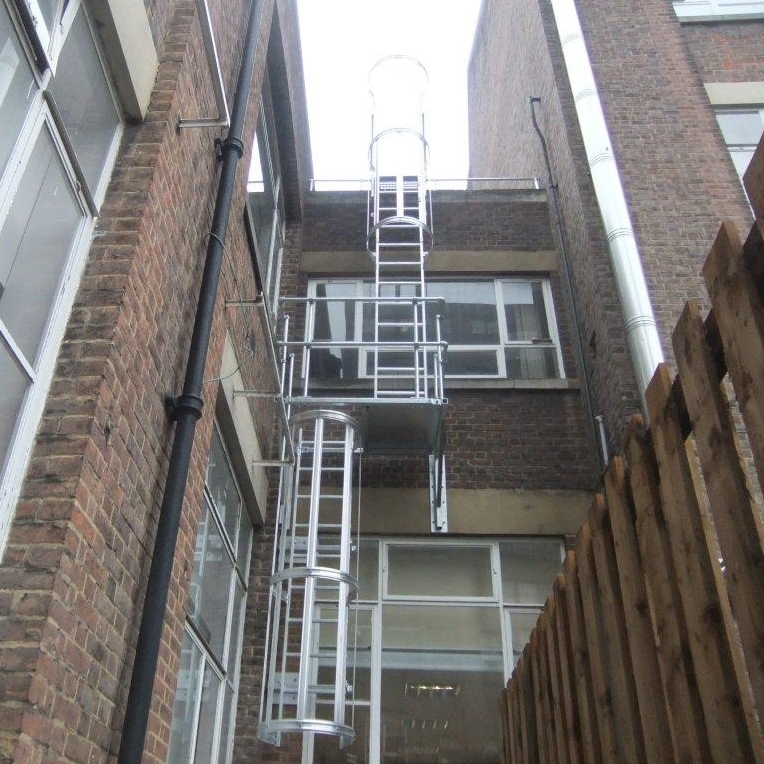 ECEX are experts in providing solutions for access between differing levels of buildings and roofs, including stairs, ladders and bridging platforms. Roof areas, risers and plant were often built or installed before current work-at-height considerations and legislation existed. Even new plant is sometimes installed without adequate consideration being given to safe high-level access. Finding solutions to such access issues and eliminating the risk of falling for personnel having need to access these areas is our specialty. We can also audit your existing means of access and make recommendations about bringing them into line with current regulations. However large or small the issue, ECEX surveyors will survey your requirements and design a fully legislation-compliant solution, using a combination of off-the-shelf modular components and bespoke factory-fabricated metalwork to create the safest and most cost-effective solution. Our experienced site team will install nationwide, and of course the most careful consideration is given in the Risk Assessment process to ensuring their own safety during the installation works. 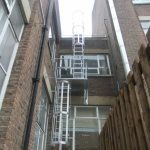 Hooped (safety caged) vertical access ladders (cat ladders) in aluminium or steel, with our without intermediate platforms. Can include accessories such as portable / removable lower section, padlockable security / anti-intruder panel, self-closing gate at head, non-slip rungs.